Sometime in the late Cretaceous, a fierce Tyrannosaurus Rex dreams about a cute little kitten. It is a dream that ushers in a new phase of his life. Determined to recover the kitten, he abandons his daily routine of hunting, eating and sleeping and sets out to explore the world around him. 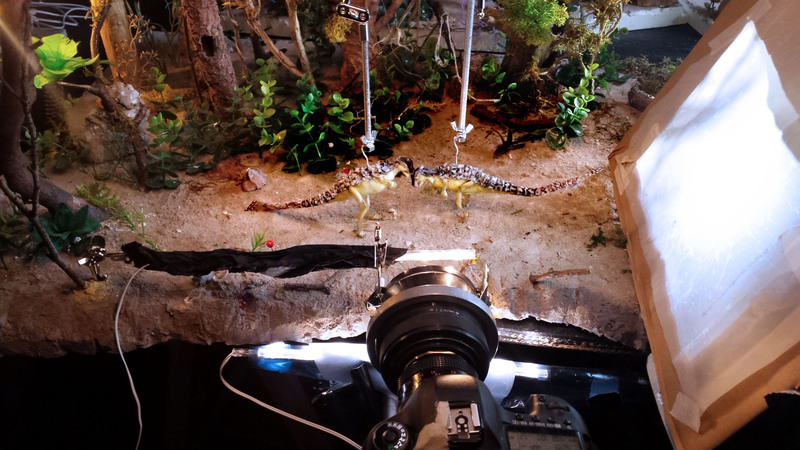 The story is visualized as a documentary-style reenactment of dinosaur behaviour. With a dreamy montage and cutting across animation styles (combining stop motion and drawn animation, with bits of 3D and live action), this speculative behavioural study on dinosaurs evolves towards an actual behavioural study of the contemporary domestic cat, enacted by dinosaurs. This was Liesbeth’s graduation project for the animation department at KASK in Ghent. After previously completing the 2D animated film Biotopia, she decided to broaden her horizons with stop motion. The dinosaur, a form of life of which the true appearance and physiology is forever lost in time, has always been an obvious subject for (stop motion-) animation— the art of breathing life into the inanimate. Preproduction started in 2015. With the general story outline already in place, the main challenge was to design the puppets and build them in a functional way (note: within an extremely limited budget). The interior rigs were custom built from scratch and the outer silicon skin required a lot of trial and error. The choice to give the dinosaurs feathers was an ambition from early on, but didn’t seem attainable (or much of a priority) until late in the design process. At the time more and more scientific publications confirmed the presence of feathers on many species of cretaceous era dinosaurs. Popular media however (famous example: Jurassic World) seemed to ignore this information, sticking to the scaly skin from the previous century’s fiction canon. 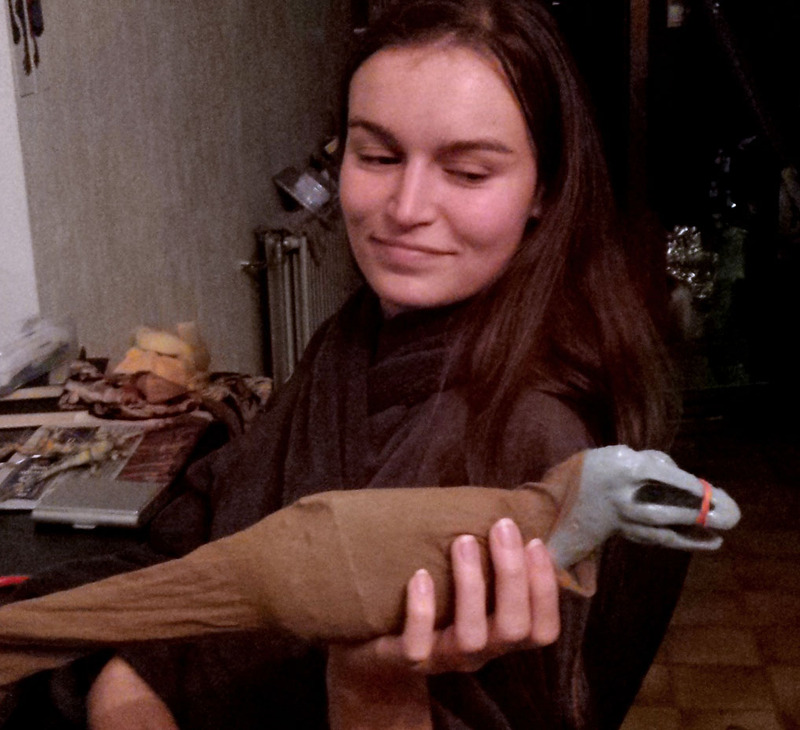 As a reaction we made it a matter of honour to work with feathered dinosaurs. The feather patterns and colours give the characters a look and feel, unique in the dinosaur-chapter of film history. We find it meaningful to suggest an alternative approach to what the dinosaurs may have looked like. Liesbeth’s specific designs are as likely to be accurate or inaccurate as any other dinosaur depiction throughout history. But at least they broaden the range of possibilities. To propose a new direction may contribute its tiny part in inspiring other artists (and eventually perhaps the scientific world) to retroactively document the life of the dinosaur. 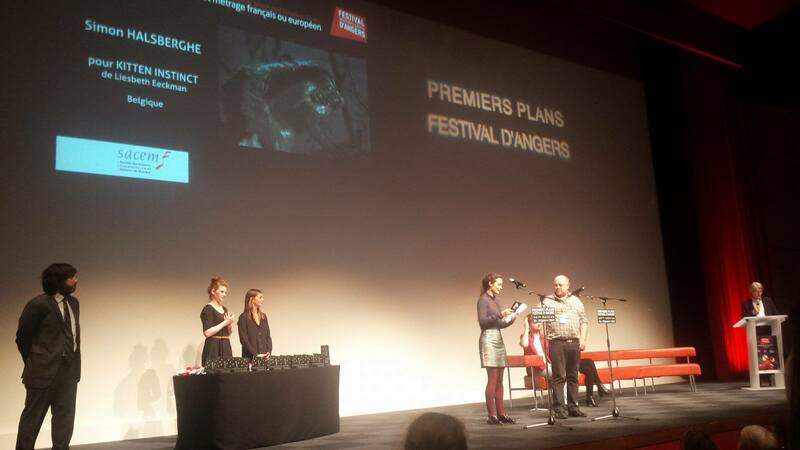 We believe that proposing hypothetical realities –however small their impact within a grander academic or cultural scheme– has always been cinema’s core contribution to science. Cinema and animation are active forms of thought experiments: imaginative breeding grounds for for very real ideas. Cinematographer Yves Sondermeier brought anamorphic lens wizardry to the Kitten Instinct studio, along with many practical DIY solutions. This allowed us to achieve wonderful looking results with a –by time we actually started shooting– nonexistent budget. The image texture is reminiscent not only of sleazy widescreen B-movies (an ecosystem in which Harryhausen made some of his best) but also of the haunting dream worlds of the Quay brothers, to whom one sequence (T-Rex’ existential crisis before he pretty much becomes a cat himself) is greatly indebted. 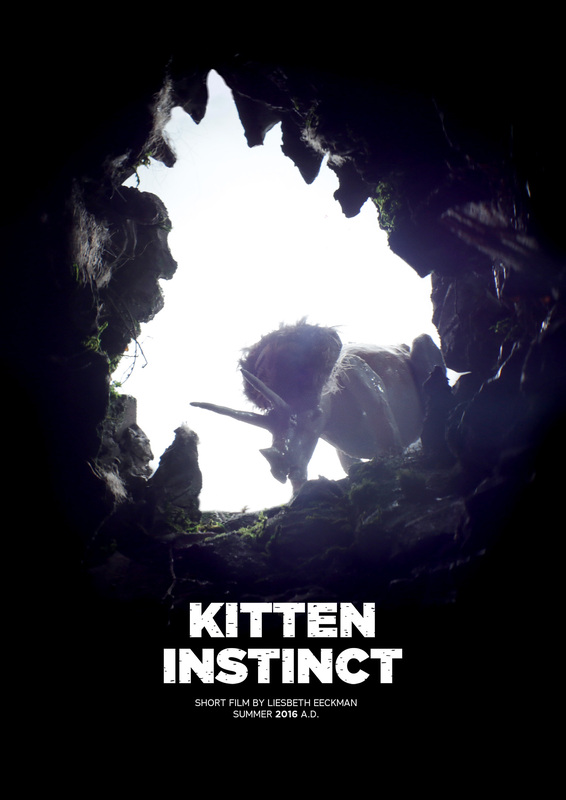 Kitten Instinct’s music was composed and performed by Simon Halsberghe. 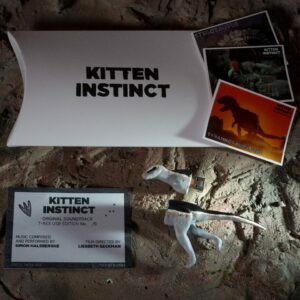 It won the best soundtrack award at the 2017 Premier Plans festival and is available for streaming and downloading on https://gentletapes.bandcamp.com/album/kitten-instinct-o-s-t Aside from musically bringing the exact right mood to the right scenes, Simon’s synths sometimes seem to purr and roar as if actually alive. If you’ve worked your way through the end titles of the film and if you’re wondering: yes, every dinosaur was actually voiced by its own human actor. The voice-timbres were heavily processed, but still… credit where it’s due.